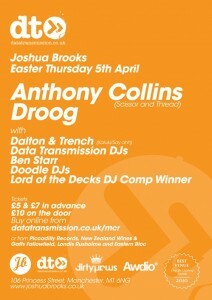 Anthony Collins chats ahead of Easters DataTransmission Parties. 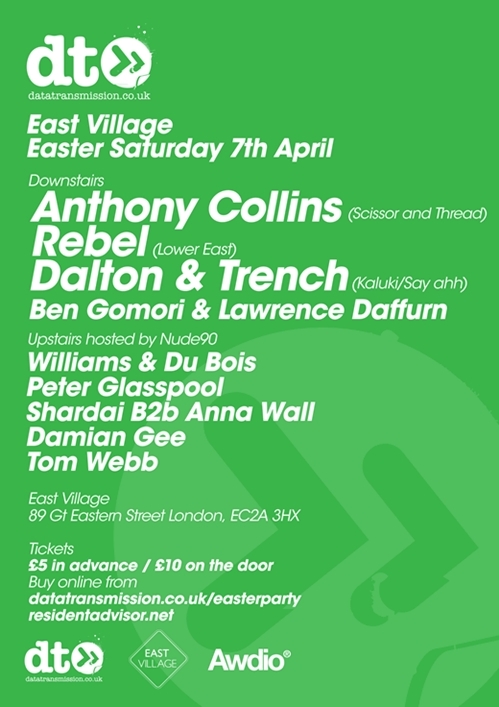 You are here: Home / interviews / Anthony Collins chats ahead of Easters DataTransmission Parties. 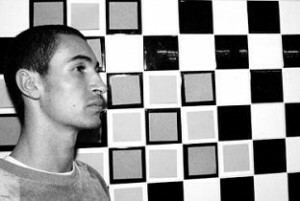 Anthony Collins is a premier figure in the world of underground house music. A true pioneer in sound with a creative drive and lust that sees him spread his vision across many styles of music, Anthony Collins is the deep house DJs favourite DJ. After releasing many juicy cuts across labels such as Ibadan, Droog’s Culprit and more, Anthony is also hard at work looking after his own Scissor & Thread label, home to other international artists such as Adultnapper and more. The charismatic Frenchman is making haste to the UK this coming Easter to play at not one, but two Easter special Parties for DT, kicking off first in Manchester with Crosstown Rebels’ Droog and more on Thursday April 5th, and then at the UK website’s current monthly residency of East Village on Saturday 7th April, with Anthony joining Lower East’s bubbling up name Rebel and more shining new talent. Plain & Simple caught up with Mr Collins to find out what he loves about house, the current scene, his home city of Paris and heading over to the UK in just under a week’s time. How did you first start your journey into electronic music? I first got into djing by hanging out a friend who had decks, it looked like fun so I gave it a try and couldn’t get enough off it. With production it was pretty much the same, I started with a friend, then on my own and again was addicted! We hear you’ve been in Brazil – what have you been doing over there? Are they feeling the deeper shades of house? I was on a vacation slash work holiday with my girlfriend. It was actually amazing, that country is so beautiful! As far as the gigs were concerned, I played at D-Edge in Sao Paolo which was off the hook – one of the best clubs in the world if you ask me. For anyone catching up with the sounds of house and deep grooves, what would you say to them if they asked you to give a synopsis of your sound? Music for a mature music head, something that builds up on you little by little, rather than with a direct bang. You’ve been pushing your own Scissor and Thread label – how is this going for you? It’s going great, every release so far has had great reactions from press and DJ’s. And I’m excited about some really special stuff we have coming up in the future… tons of new amazing artists. Plus there’s the 2 new sub labels: Frank & Tony Rec and Natural History. In fact you’ve released tracks across about 15 different labels including Droog’s Culprit, Ibadan and more…..is this key to being successful? Or is releasing on lots of labels something which you just wanted to achieve? There was no plan behind that, it all just happend naturally. I would make a track then say to myself it would fit that label, etc. But from now on, I will only release my music on my labels, as I have new various projects in the pipeline, one of the major ones being the sub label I mentioned “Frank & Tony”. My upcoming releases are also quite different from what i have released in the past – 2012 is a new venture. 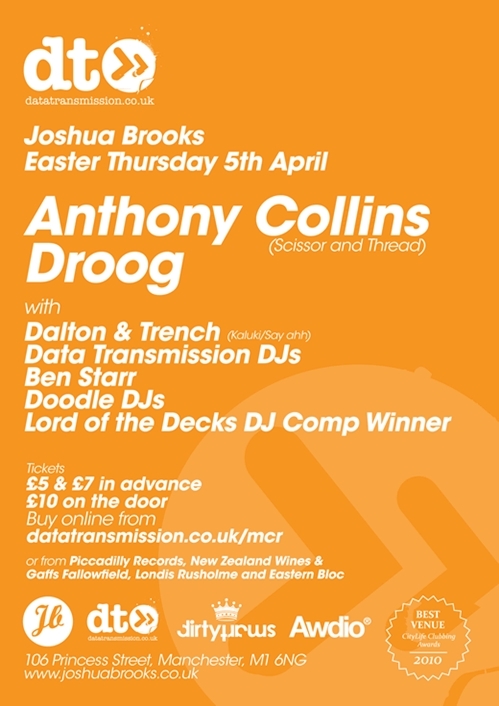 You’ll be heading over to Manchester on April 5th to slay our party at Joshua Brooks and then East Village on April 7th – what can we expect from your sets? Deep house with enough drive to keep things moving all night. Are you a fan of UK crowds? IS there a particular British city that you love playing at? The UK is really a great place to play, the crowd on a good night really goes wild! British people really know how to party hard!!! Speaking of Droog, have you ever played with them before? Are they a big influence? I’ve played with them in L.A. they invited me to their party, it was great times. The guys are super nice and I’m really happy that their label is getting a lot of attention right now. What’s coming up in terms of releases for you in 2012? Well new sub label Frank & Tony will drop the first 3 releases between now and September, and there’ll be an EP coming out on Natural History – our more dance-orientated sub label (as Scissor & Thread is developing more and more indie influenced releases). Look out for an album by Blick Light Smoke and new music from Corbu, Lisa. B, Gry and Bob Moses. Deep and alternative house is massive here in the UK – what’s the scene like in France, being a bigger place? What advice do you have for the waves of budding producers and DJs who plan to make waves in the same way that you do? I guess just try to find your own style, I really think that is the key these days to stand out, as the amount of music out there is overwhelming. 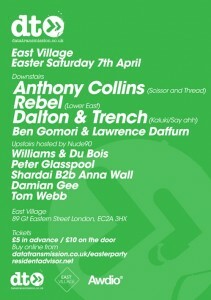 Catch Anthony playing for DataTransmission over Easter Weekend.